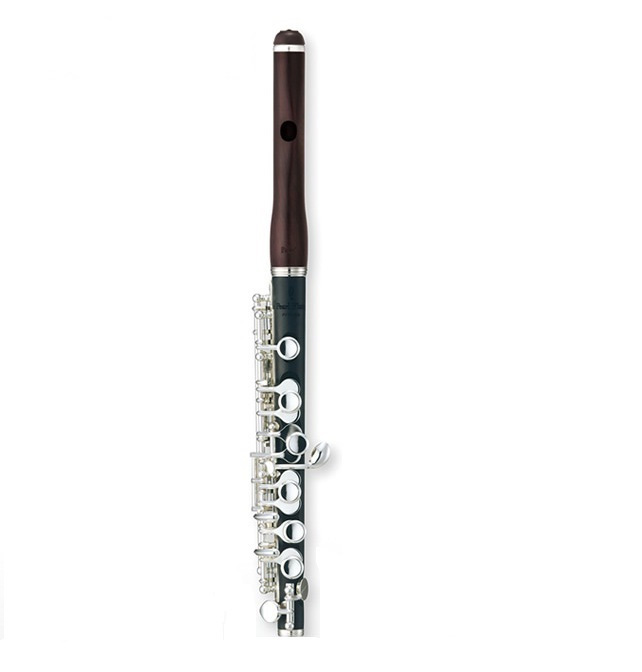 The Pearl 165E delivers incredible clarity and warmth of sound, and would be ideal for any aspiring piccolo player. This is the O/M version which has the excellent OmniPads which are longer lasting and better performing, we recommend these on the 165E model. Has a wooden grenadilla head joint. Has a silver plated mechanism. Has a split E mechanism. Has a bulb design high wave style head joint. This instrument has a wooden Grenadilla head joint and Grenaditte body, which is impervious to temperature and humidity fluctuations. This piccolo has an exquisite tonal centre and a spacious tonal range, whilst also having accurate pitch. The high wave embouchure has built up sides, which help focus the sound. In addition, the head joint has a bulb connection to the body, which is a broad metal liner that slips over a metal tenon on the body of the instrument. The use of synthetic OmniPads ensures the most durable and airtight pad seating, as well as making seating more accurate. Their tri-layer structure (of plastic backing, a harder foam middle layer and a layer of surface foam) results in a warmer sound than standard felt pads. This piccolo comes with a protective French style hard case, case cover, cleaning rod, cork grease and several cleaning cloths.